Smooth, creamy yogurt not only makes a tasty snack, but it may help treat some types of diarrhea. While there isn't enough large-scale research to say for certain, some studies show that probiotics -- friendly bacteria -- in this dairy food may ease symptoms in certain cases. Not all yogurt contains probiotics, however, so check the label before you buy. In addition, yogurt is not a substitute for professional medical intervention. 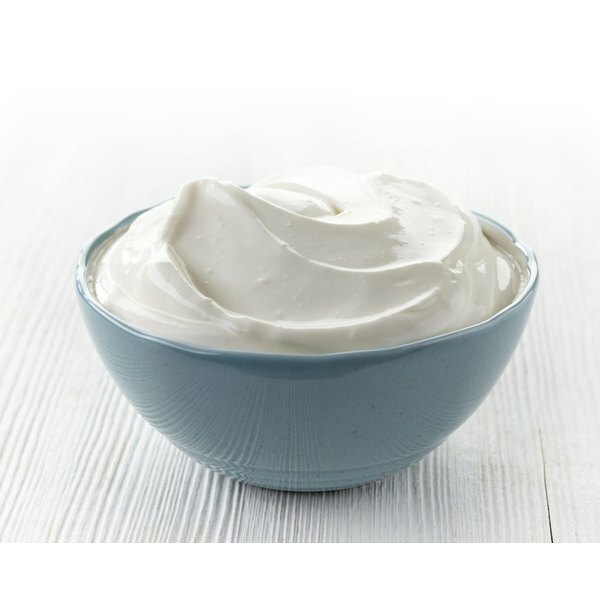 Some studies suggest that yogurt containing the probiotics Lactobacillus GG, acidophilus or bifidobacteria may help ease some types of diarrhea, reports the University of Maryland Medical Center. Probiotics are mainly shown to affect diarrhea from bacterial infections, such as traveler's diarrhea, so they may not be helpful for food poisoning or viruses. Even if probiotics can't treat your condition, the yogurt still might provide some degree of relief. Manufacturers often add pectin, a fruit fiber, to yogurt, which may thicken watery stool.